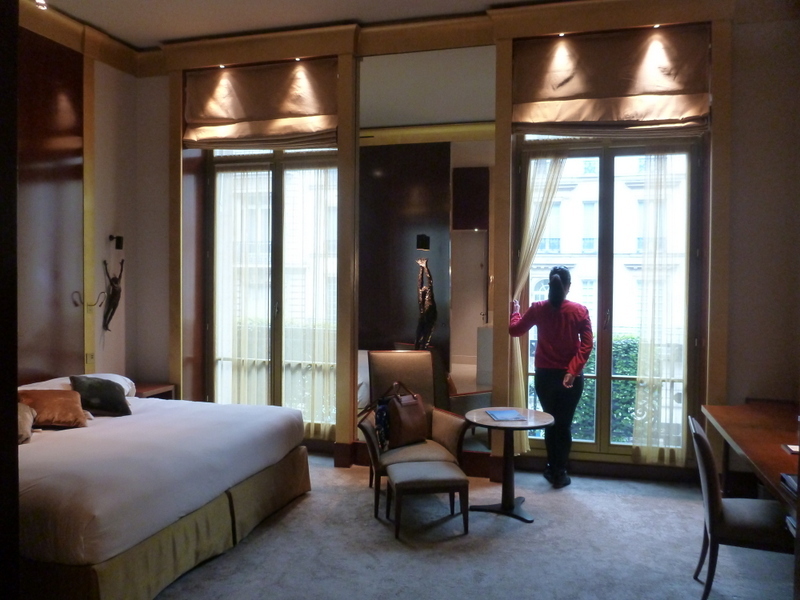 For our last night in Paris, we stayed at the Five Star Park Hyatt Paris Vendome. And it was both the perfect and imperfect choice for our last night. Perfect because it was truly luxurious all the way, and imperfect because, well, we just didn’t want to leave! The hotel overlooks Rue de la Paix and the Louvre, Place Vendôme, Opéra Garnier, and Musee d’Orsay are all a close walking distance. If you want a quiet yet central location, this would be it. 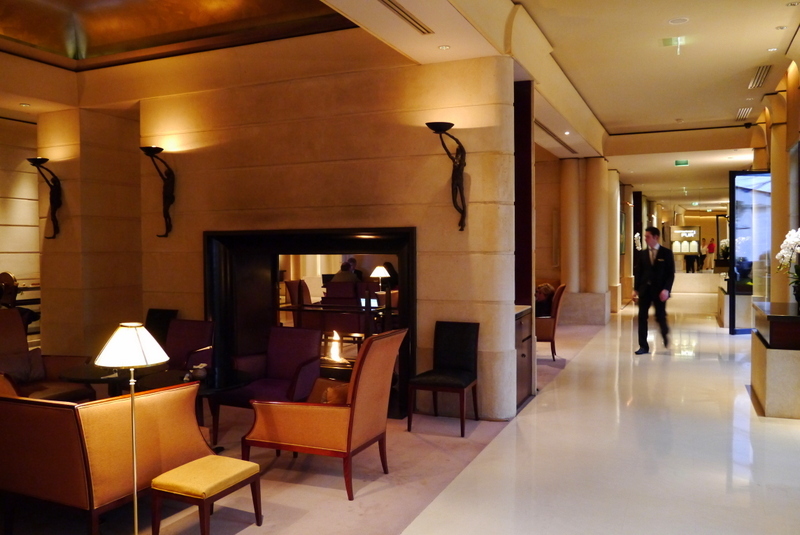 When you enter the doors of Park Hyatt Vendome, you pass by the concierge to your left first, go through a passageway and then the front desk lobby is on the side. So it feels like you just walked through a side passage. I learned that this was deliberately laid out so that it’s not too confronting ( ie, the front desk is not the first to greet you), and very discreet. The most distinct thing would be the scent of the hotel. A very musky and oriental aroma, which I soon learned was a signature scent created for Hyatt Vendome, wafts all throughout the hotel. We arrived abit after 1PM and our room was ready. We were escorted to our room and shown the facilities. Our room was a Deluxe King and I could not ask for more space. It is extremely spacious, with a walk in closet next to the door entrance. And the part I love the most is the open plan style for a seamless connection between the room and the bathroom. There are 2 huge wooden wall panels that close in on the corner that serves as the bathroom ‘door’. Dark mahogany and gold are the colour theme of the room. It may be abit masculine, but I personally like it. 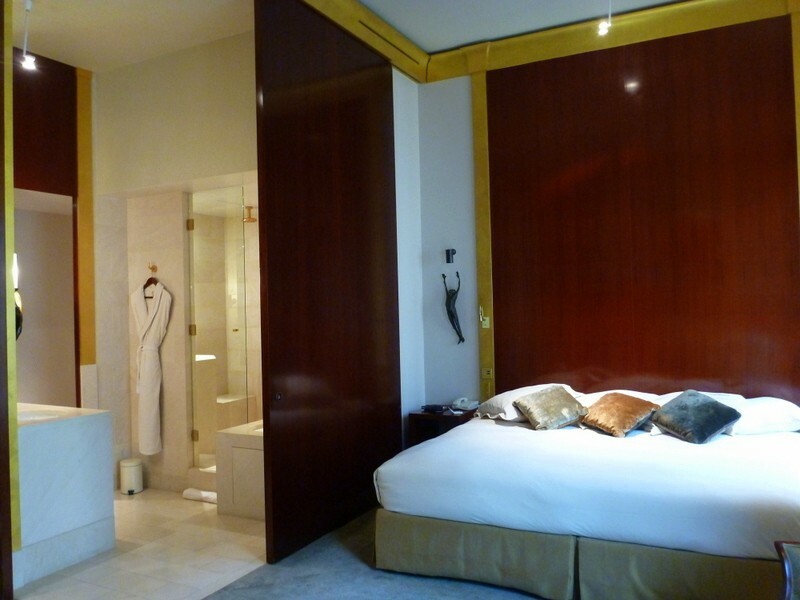 It’s a different understated style of elegance you don’t see very often in luxury hotels. Throughout the room (and the entire hotel), touches of this sculpture appear here and there. 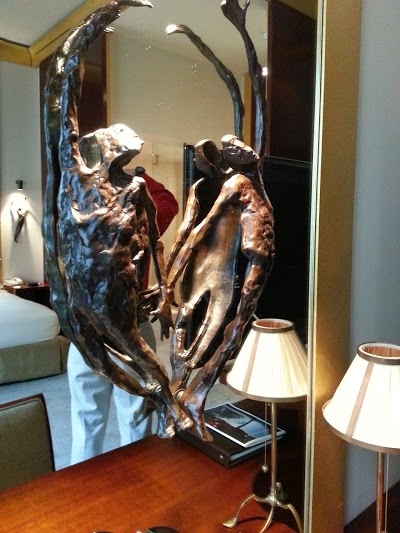 This was created exclusively for the hotel, and it is seen not just in mirrors, but in door and balcony handles as well. I’ve been hearing feedback that some people find the bathroom small. I don’t find it small at all. The white marbling and the open wall/door effect gives it a feel of being very spacious. 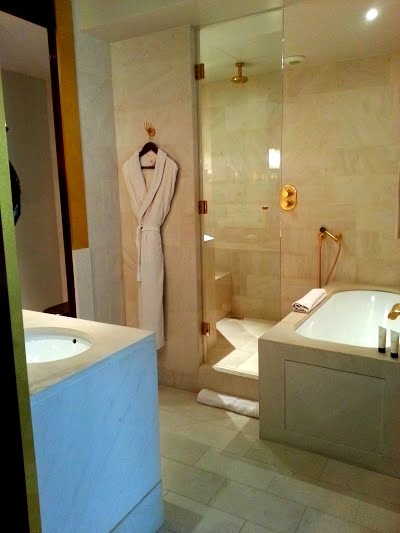 A luxurious bathroom doesn’t always have to be humongous. Sometimes luxury can be found in the little things that make up the whole package. 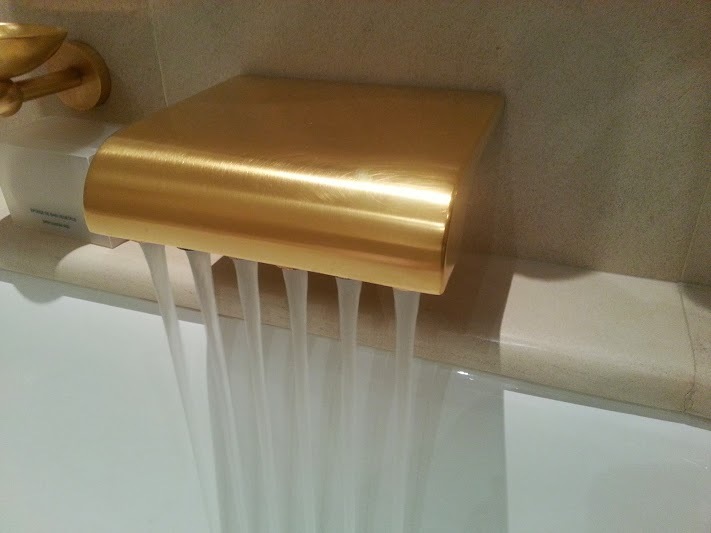 Toiletries are by Blaise Mautin, the same creator of the hotel’s signature heady fragrance. Oh now we are talking. When I opened the balcony doors for the first time I had to gasp when I looked to the right. The Place Vendome is almost within my reach! It was raining abit too that day, but it was still such a gorgeous experience to walk along the streets. And right across room is Tiffany’s. 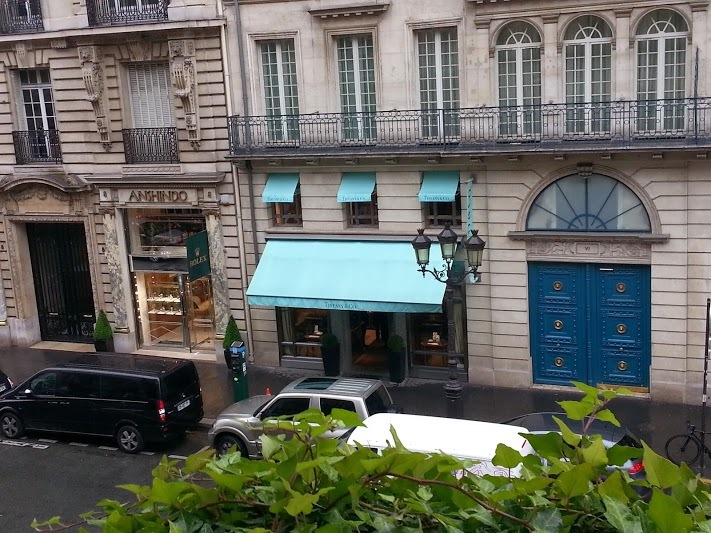 And I did have afternoon tea (of the cookies that Hyatt Vendome gave me as a welcome ammenity) in the balcony overlooking the street. So in a way, I had afternoon tea “at” Tiffany’s. 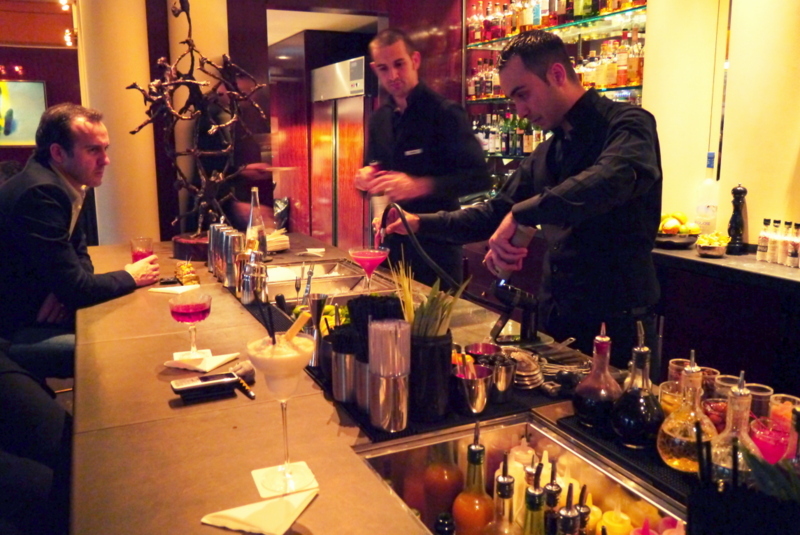 When the sun goes down and business meetings come to an official close, the Park Hyatt Vendome’s hotel bar, “Le Bar”, becomes alive as the socialising / unfinished business talk continues. 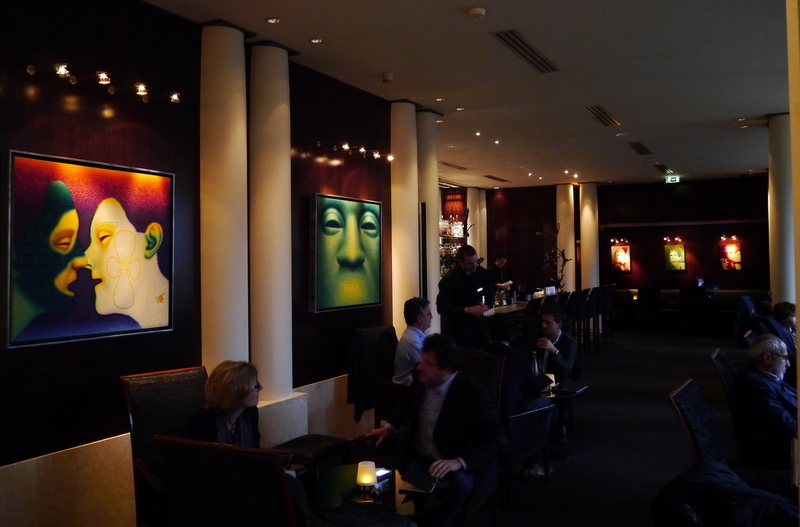 Again the bar is rich in dark mahogany panels but I love the colourful abstract art that hang from the walls. A nice break of colour and can make for good conversation starters too. We were fortunate to have been treated Hyatt signature cocktails by Jerome, one of the bartenders who (at that time) was about to compete at the Bacardi Legacy competition. His signature cocktail creation is “Senorita” (the red one from above) and it was such a mesmerizing experience to watch him concoct your drink. 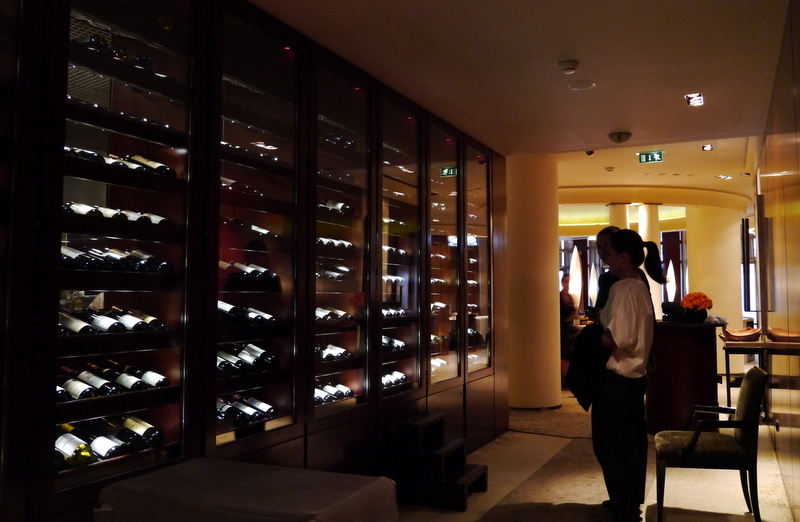 After drinks, we had the pleasure of having dinner at the Park Hyatt Vendome’s very own 1-star Michelin rated restaurant, PUR Restaurant. The dinner was a long , grand and intricate affair, and you can read all about it HERE. With the cool, understated ambience of the hotel, and that all-black sleek signature outfit of all Hyatt employees– one is easily reminded of black-tie dinner scenes in the movie,”Meet Joe Black”. 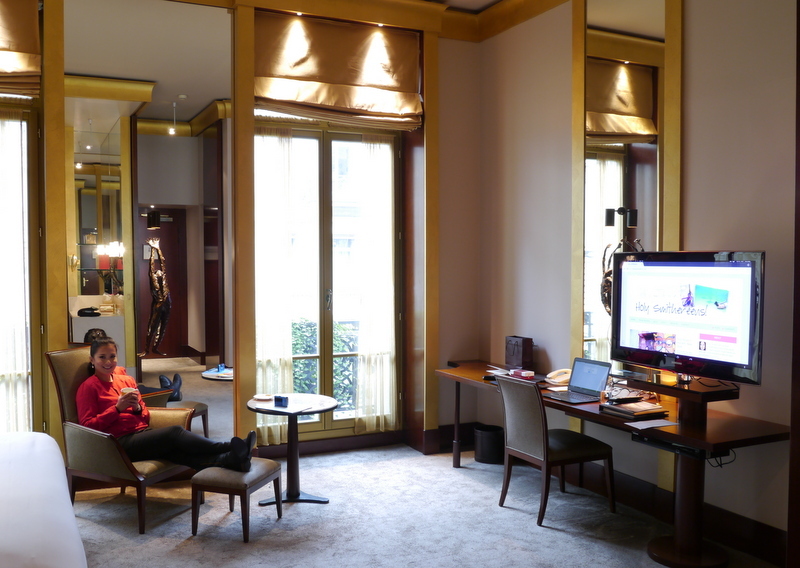 True luxury doesn’t need to scream “hey I’m expensive!” and this is what I appreciate the most about Park Hyatt Paris Vendome. 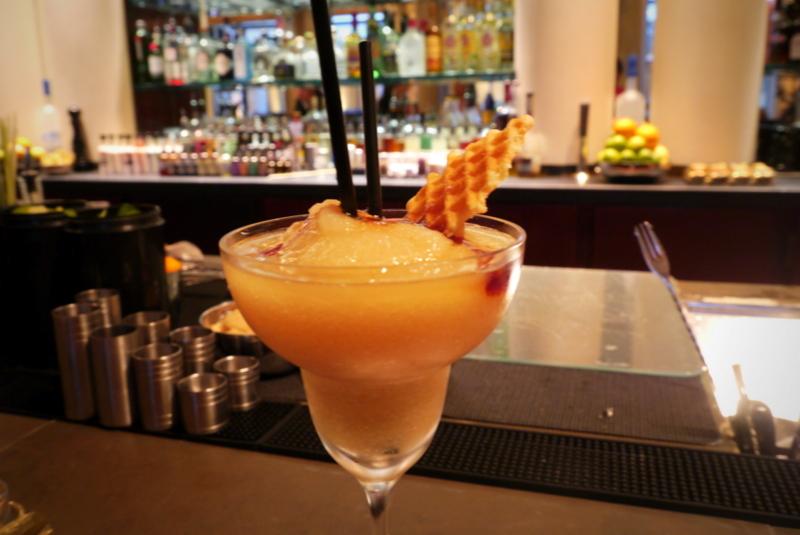 The hotel knows it’s style, it knows that luxury can be seen in the finer details and felt in its service. And this is what we definitely experienced. This hotel is for those who love discretion, privacy and subtle elegance. I loved the experience overall and wish we had stayed longer. The Park Hyatt Vendome is recommended to those whose tastes in luxury are understated , and those who prefer anonymity and don’t want claustrophobic crowds. The hotel is cleverly planned out to avoid peeing eyes towards VIP guests. 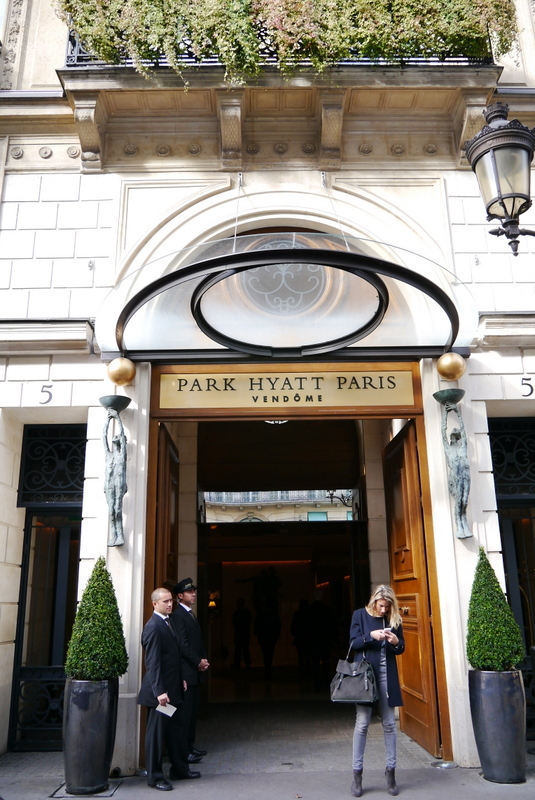 We were guests of Park Hyatt Vendome in Paris. However this has not influenced my opinions about the hotel. All views and opinions are my own. Dining Experience at Restaurant Le Pur of Park Hyatt Paris Vendome The Hyatt Paris Madeleine: a Luxury Boutique Hotel in Paris Luxury Hotel in Paris: Hotel Fouquet’s Barriere Park Hyatt Abu Dhabi Hotel & Villas Part I Park Hyatt Dubai: Mediterranean Paradise in the UAE Top 10 Luxury Hotels with Ultimate Bathrooms! 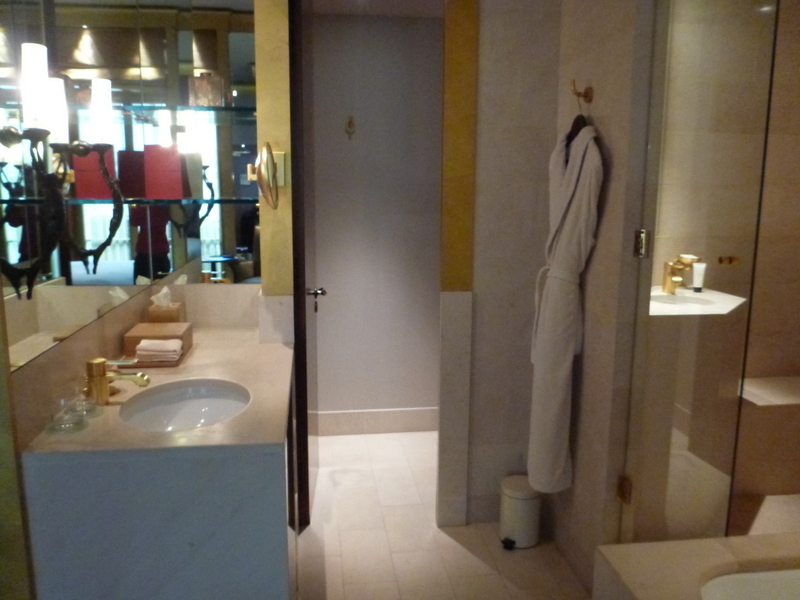 Loved your review of the Park Hyatt Paris Vendome! Going to Paris in October, and plan on staying at the Park Hyatt. Do you remember your room number? Loved the room and the balcony and, of course, the view. Your advice would really be appreciated! Hi Bernie! Thanks for the comment. How exciting, Paris in October (which was the time I was there last year too!) perfect weather and not much touristy crowds. Sadly I cannot remember our room number! But when you make your booking, send an email to the hotel to make a request to assign you a room that faces the Tiffany store..because that would be the room we stayed at 🙂 Enjoy planning your trip– that’s half the fun!